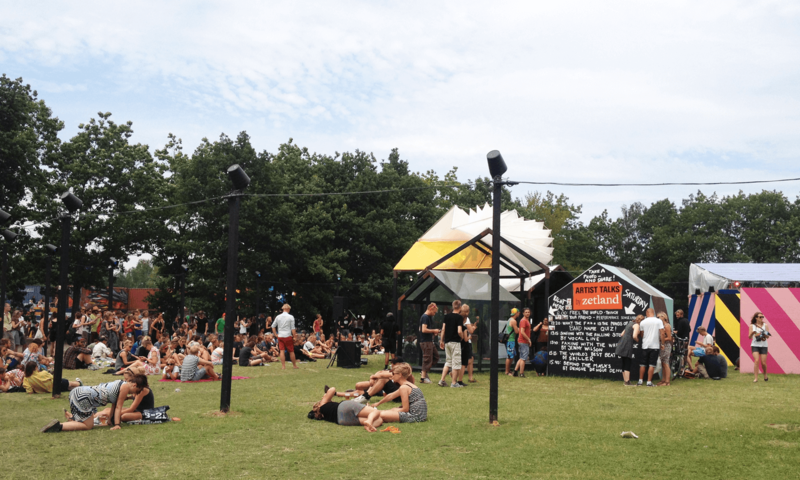 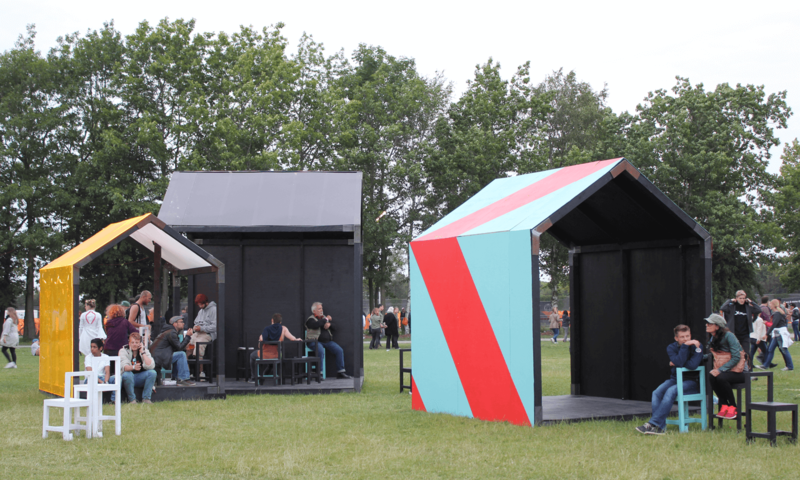 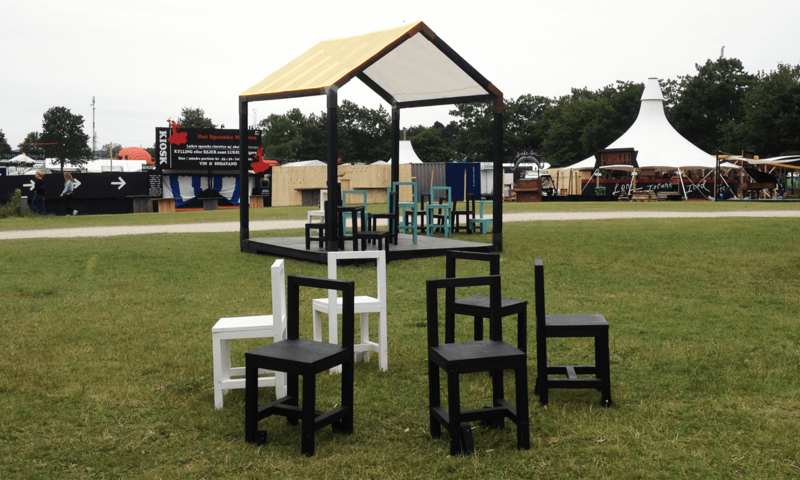 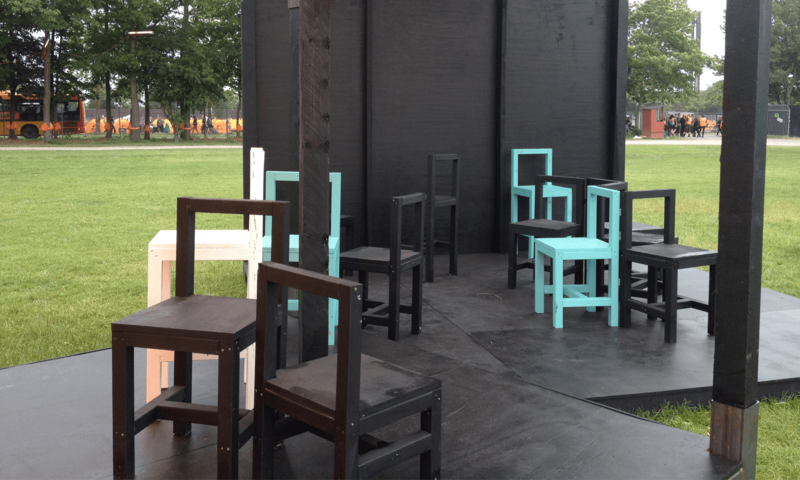 Installation of pavillions and seating elements in the Art Zone at Roskilde Festival 2014. 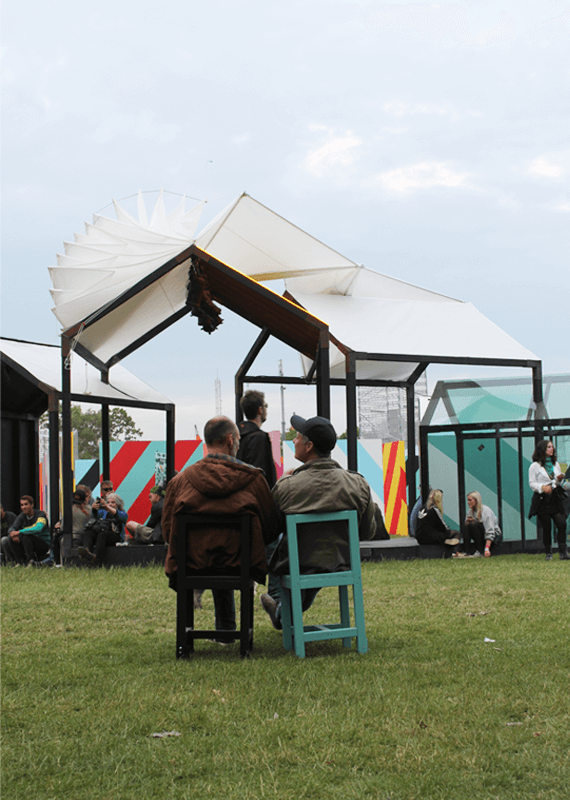 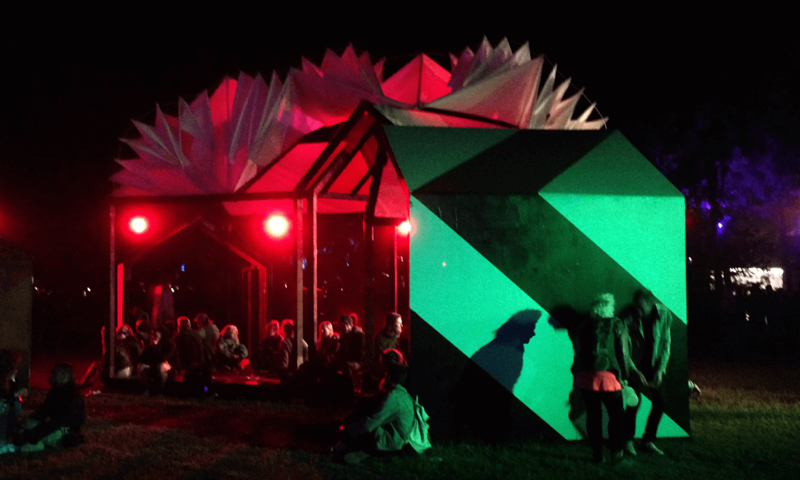 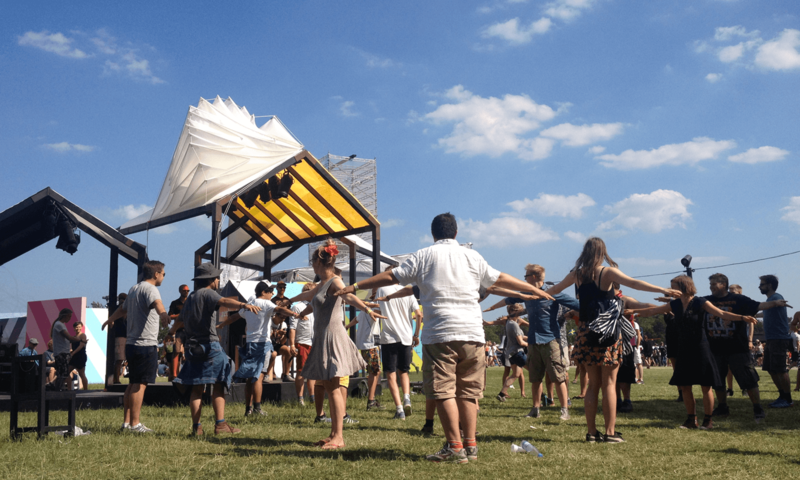 The spatial installation supports and challenges the informal meeting between festival goers. 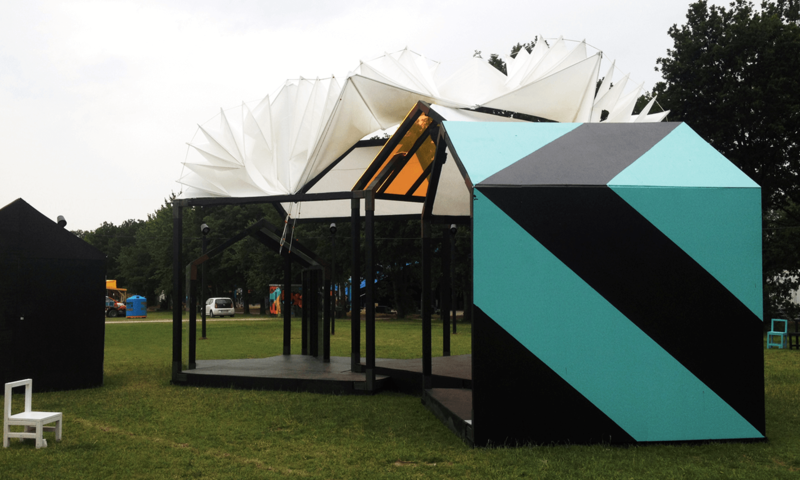 Iconic houses melt together and create surprising surroundings. 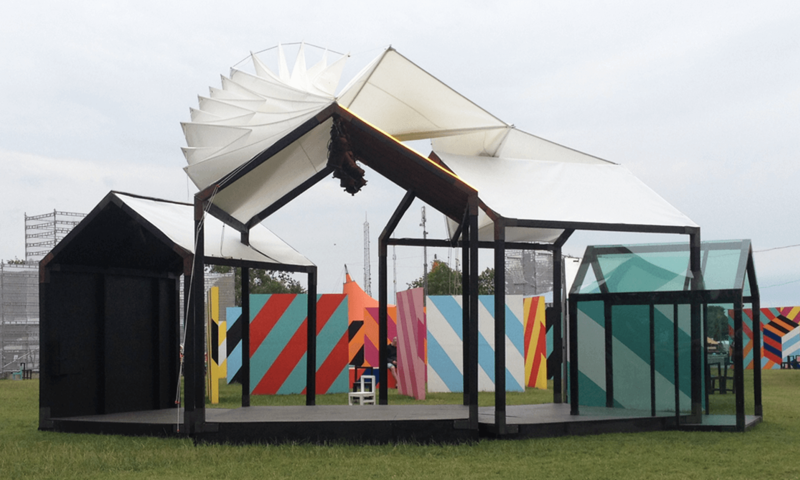 Walls and roofs are covered with translucent and reflecting acrylic sheets, white sails and plywood painted by the street artist Maser. 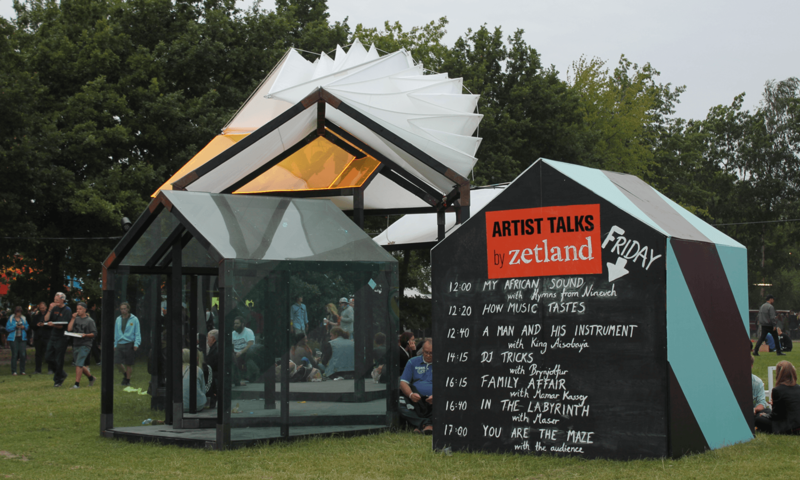 Some of the houses function as a stage for the activities arranged by Zetland. 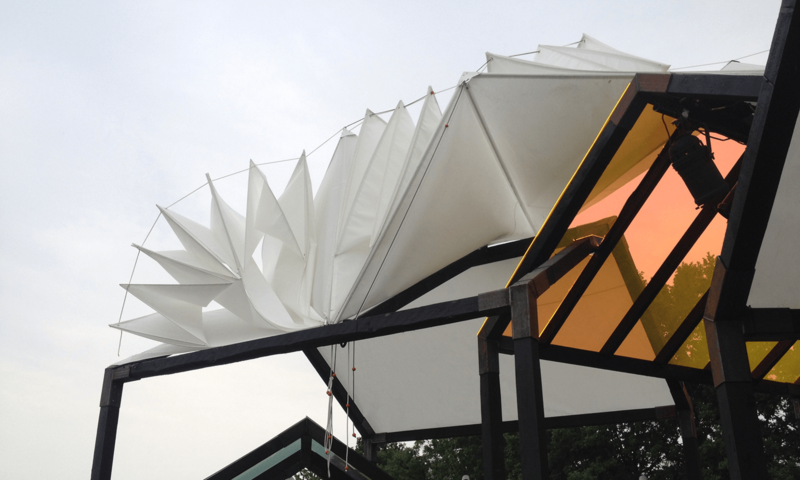 These houses literally unfold in unexpected ways when put into use. 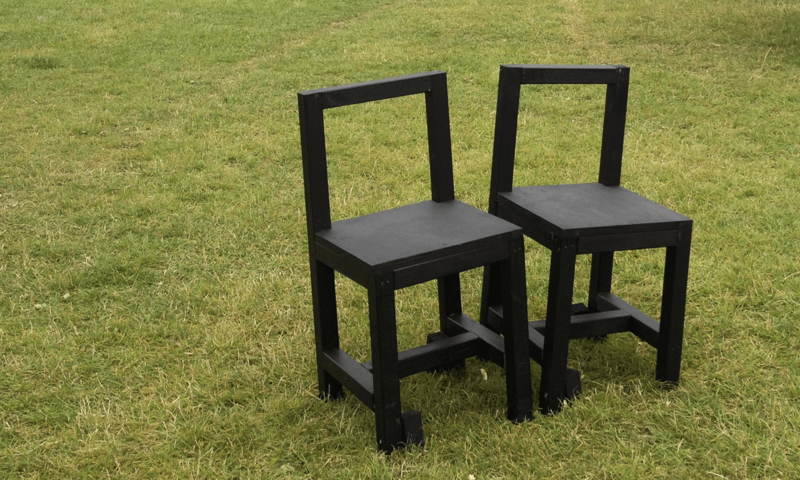 Iconic chairs attached to the ground challenge the way you sit together with your friends and encourage interaction with people you meet for the first time. 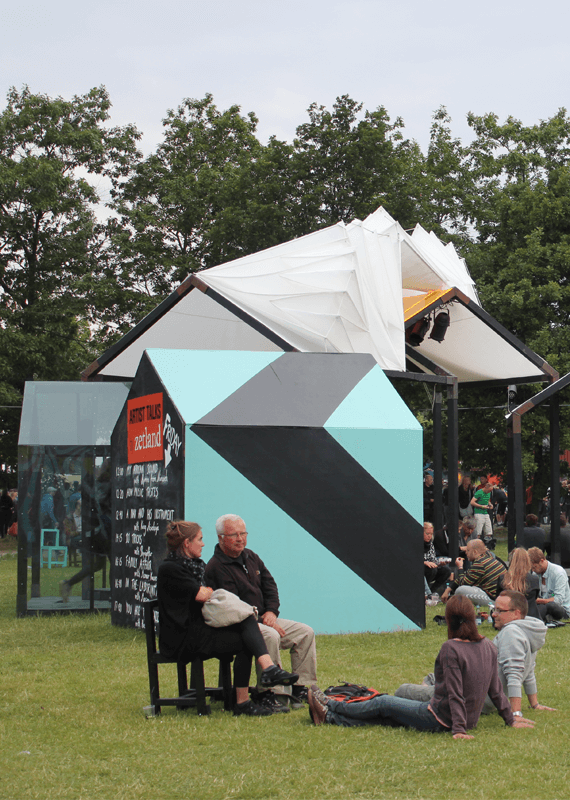 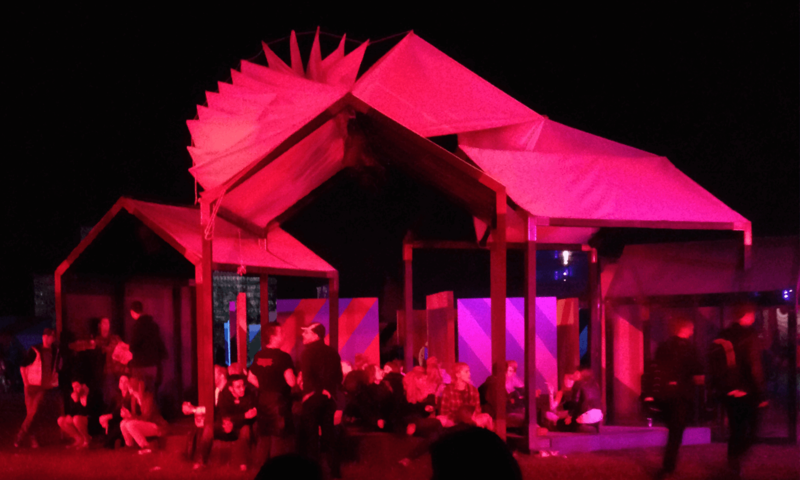 The installation works as setting for experience, interaction and dialogue at the Art Zone, Roskilde Festival. 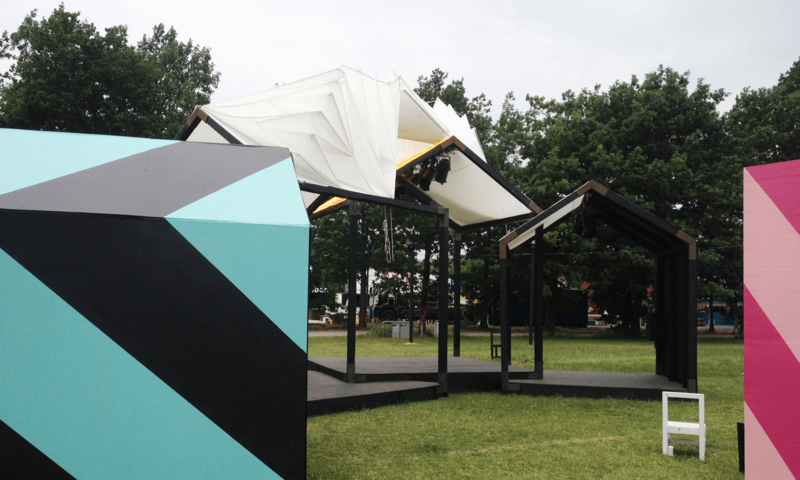 Among other artists at this year’s festival are INSA, Marcos Zotes, Maser and Lilibeth Cuenca Rasmussen.